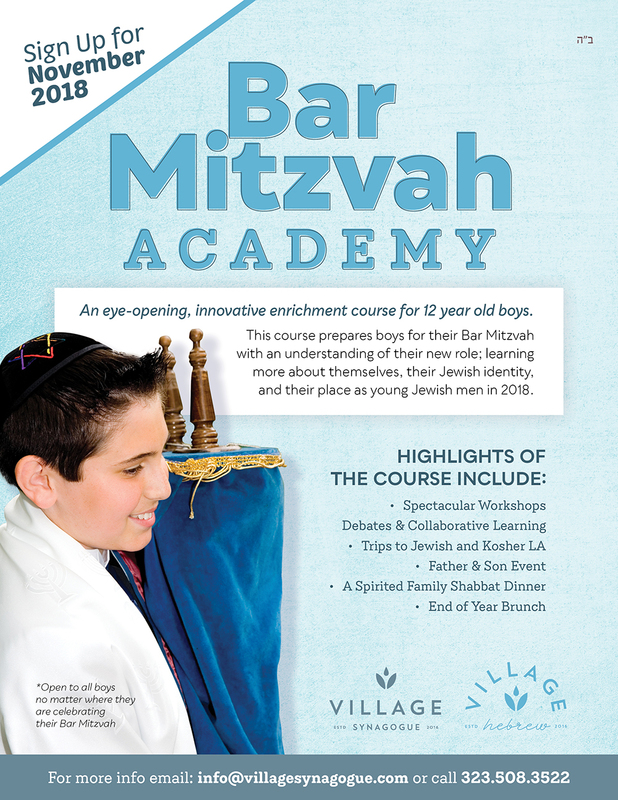 Village Synagogue's innovative Bar Mitzvah Academy is an 8 month program for 12 year old boys to prepare them for their Bar Mitzvah. This monthly program will enable your child’s Bar Mitzvah to take on new significance and meaning. 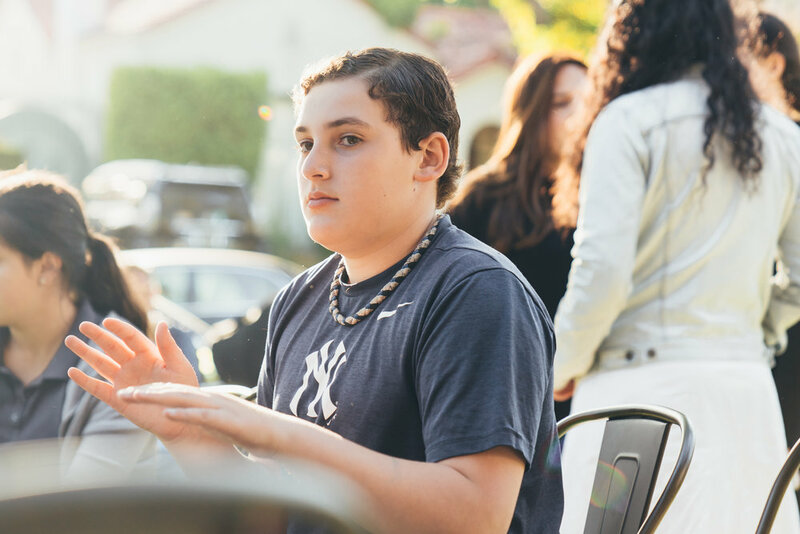 Preparing for a Bar Mitzvah can be stressful, but these classes will guide your child how to properly prepare for this great occasion and provide the Bar Mitzvah boy with a year of memorable experiences while soaking in Jewish fundamentals and values. At the Bar Mitzvah Academy, the Bar Mitzvah boy will gain a deep appreciation and pride in their Jewish identity and heritage. Topics that are relevant to his life are explored and discussed through drama, arts and innovative technology in a warm, social, Jewish environment. Our Bar Mitzvah boys visit a Kosher restaurant, synagogues, the Holocaust Museum, enjoy a Krav Maga session with their Dads, celebrate Jewish festivals as a group, volunteer for the needy, cook up a storm in the Village Synagogue Giving Kitchen, enjoy a spirited Family Shabbat dinner, and culminate the year with a festive family brunch. Note: No Synagogue affiliation required. Please contact us if you would like assistance in finding a personal tutor to assist your child with his Torah Reading.